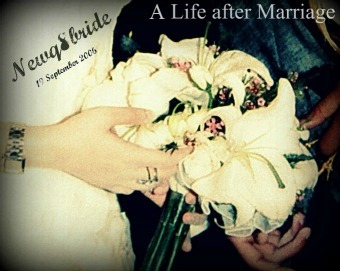 NewQ8Bride : A Life after Marriage: Singles Guys , Stay away from your Married Friends "Lives"
Singles Guys , Stay away from your Married Friends "Lives"
When I was staying at my parents during the recovery period post the surgery , J was visiting me daily , It was a new experience , we were just laying there in bed , holding hand , I can`t even smell him , because literally I cant smell . Anyway , it was kind of a romantic situation , one Day , J received a call from one of his friends , you know how the Iphone is so load that you can listen to the entire conversation , that guy was talking to j and telling him yeh I am out & I have a company blah blah blah then suddenly , I heard a girl`s voice shouting : Hiiiiiii or whatever !!!!!!!!! J remained silent Then the guy got it, that I was there , j ended the call . Stupid A text-ed J apologizing . I asked J , If i was not there , will he end the call ?? or he will talk to that girl ??? why stupid A did that ?? he knows that you are married , happily married ?? why single guys will try their best to ruin their friends happy relationships ?? Yes I trust J & I am not that type of a woman , the one who locks the doors & never give a space to her man . no & him too , the problem is that married guys should set rules , asking their friends to stay away , but they will not , I know that .